While the organizers don’t release official attendance figures, others report that north of 90,000 makers, enthusiasts, hardware-hackers and curious onlookers made their way to the New York Hall of Science in Queens, NY, this past weekend for Maker Faire New York. RC robots battling each other to destruction. and of course, you know, a 30-ft Fire Breathing monster made from recycled Airplane parts (pictured in the post header, more photos). Big names like Google, Microsoft, and Intel were there, showing off various IoT initiatives, teaching kids how to solder, and generally helping them get started in building electronics. And of course wot.io wouldn't miss a Maker Faire so close to home, so we were there too. 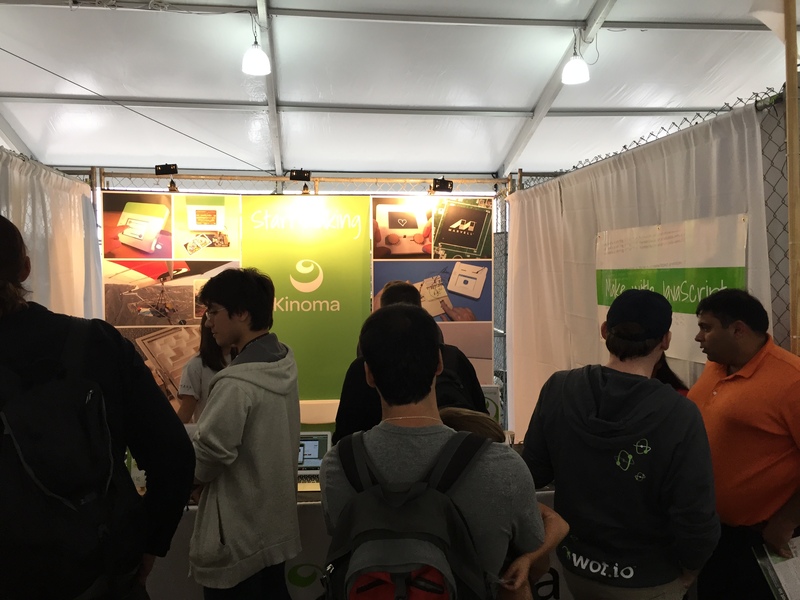 We were very excited to be able to join our friends from Kinoma whose booth saw plenty of traffic. We've used the Kinoma Create for projects in the past and it was fun to build a new one to show at the Faire. For this outing we added a temperature sensor suitable for giving a very precise reading on your favorite beverage. 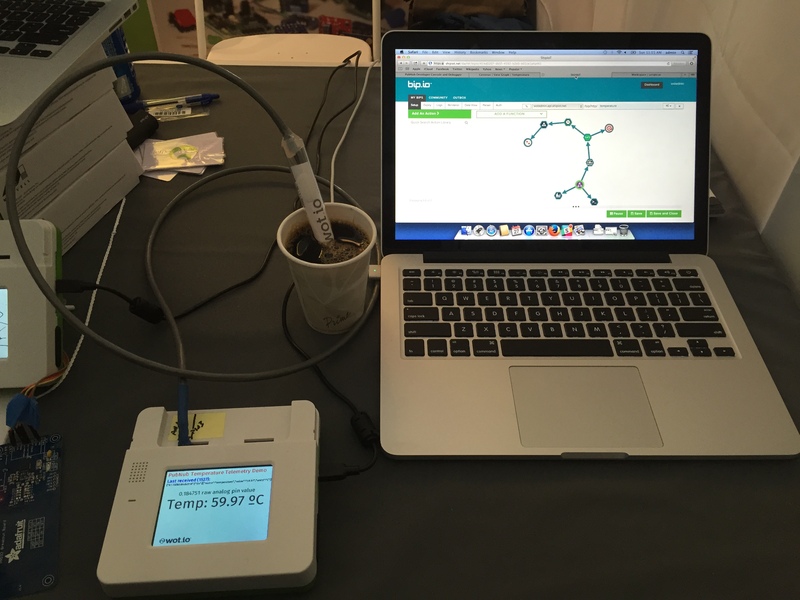 Data from the temperature sensor was captured by the attached Create unit, sent through PubNub, and routed to wot.io data services bip.io (pictured on the screen), scriptr.io, and Circonus. It was great to see how many kids were at the Faire, getting excited about inventing and exploring new ideas and technologies. It was pretty great to see them just play with electronics and have the chance to make cool stuff. When you ignite the imagination of a kid, and give them the tools and support to build their ideas into reality, there's no telling what they're going to bring to next year's Maker Faire. Given what was on display this year, I'm pretty excited to find out. If you're interested in deeper technical details on the demo we showed, be sure to check out our labs blog entry that explains the full setup.